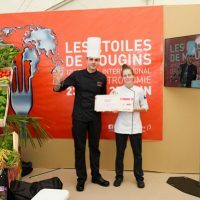 The contest Les Espoirs de Mougins at Les Étoiles de Mougins 2017 has consecrated Yannis Sgard from the restaurant Lasserre in Paris, a passionate and talented young chef. 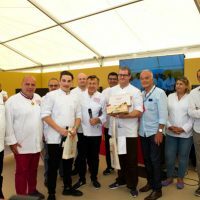 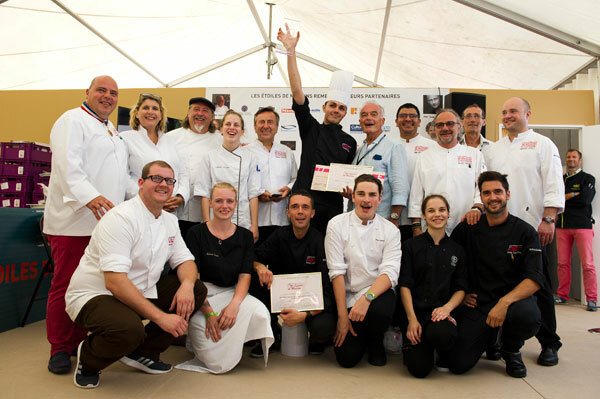 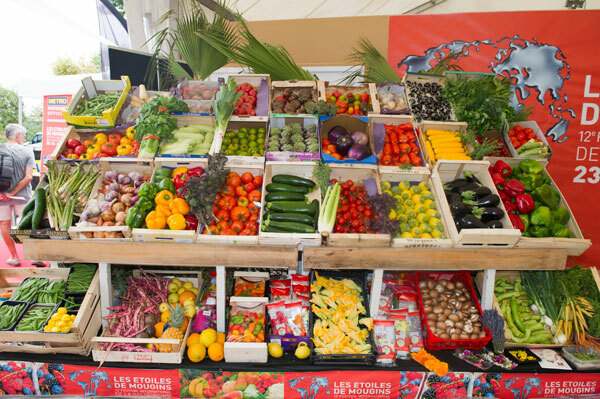 The 12th edition of the International Festival of Gastronomy Les Étoiles de Mougins played host for three days of entertainment, tastings and exchanges between chefs and a public of gastronomes and catering professionals from all over the world. 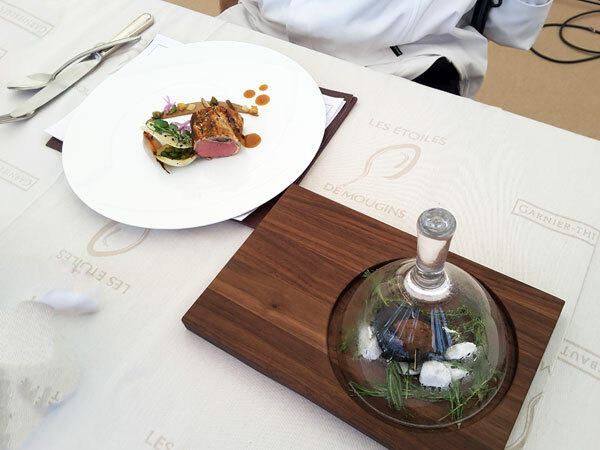 On Sunday, June 25th, the contest Les Espoirs de Mougins at Les Étoiles de Mougins 2017 took place under the presidency of the festival’s guest of honor, starred chef Daniel Boulud, whose best known restaurant -among may – is the two-star restaurant Daniel in New York. 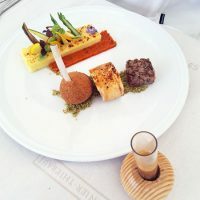 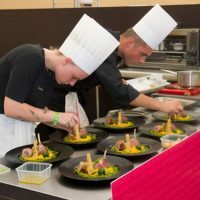 Each edition of Les Étoiles de Mougins consecrates young promising chefs who come to demonstrate their talents and their passion for gastronomy before a large audience. 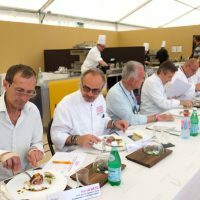 A jury of renowned chefs had this year to select four finalists: Yannis Sgard from the Michelin starred restaurant Lasserre*, in Paris, Nicolas Leclair, second of chef David Faure, Sensôriel in Nice, Johan Capodiferro, restaurant Le Jardin des Chefs in Metz and Damien Chomont, from the starred restaurant Le Charlemagne* in Pernand-Vergelesses. 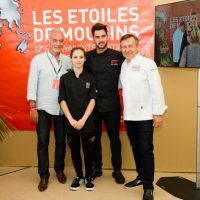 Under the presidency of the Guest of Honor, who came specially from New York for Les Etoiles de Mougins 2017, Chef Daniel Boulud, Restaurant Daniel ** in the United States, the jury, along with the Mayor of Mougins Richard Galy, had the delicate task of deciding among the four young competitors. 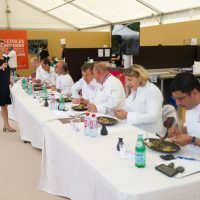 The Jury was composed of Rodolfo Castellanos, Origen, Mexico; Stephane Buron, Hôtel, Restaurant & Spa Le Chabichou**, Courchevel; Marco Sacco, Ristorante Piccolo Lago**, Italy; Stéphanie Le Quellec, Prince de Galles, a Luxury Collection Hotel, Paris; Mathias Apelt, Romantik Hotel Kieler Kaufmann, Allemagne and Hervé Gèze, Président de la SAS Riviera Premium, managing La Cantine Française, Port Fréjus. 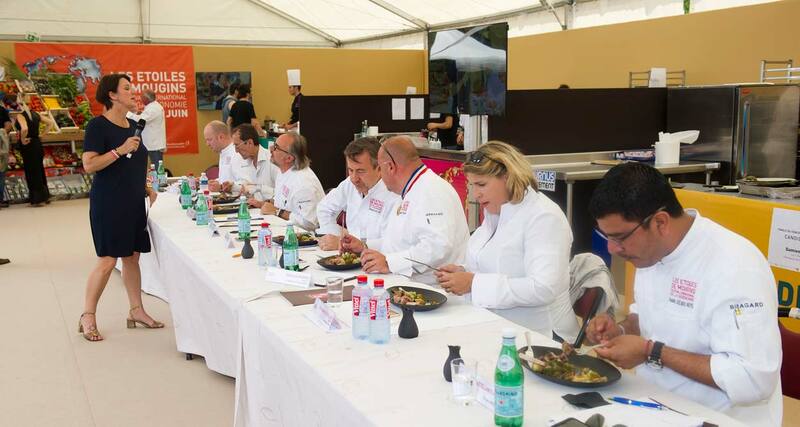 The Chef Emmanuel Ruz, Lou Fassum in Grasse was the Technical Jury. 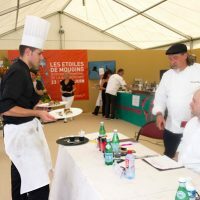 Les Espoirs de Mougins contest is open to all qualified professional cooks, aged up to 35 years. 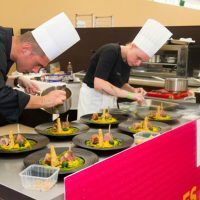 The candidates were selected on written recipes by a jury composed of professionals and qualified persons, composed of Stephen Buron and Stephanie Le Quellec. 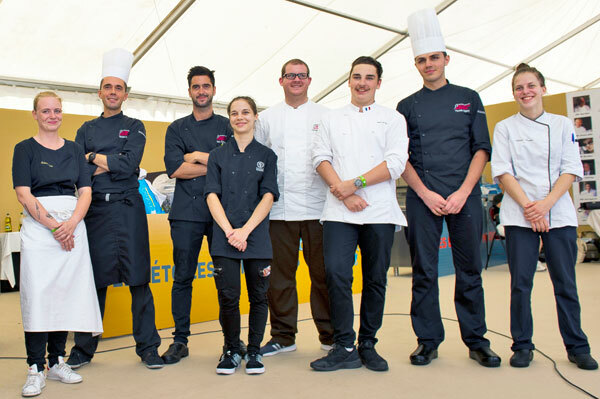 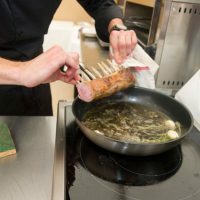 The candidates were given a 3h30 time to prepare and present to the jury an original recipe of their composition, on the theme of Tradition of the Mediterranean basin around lamb or sea bream. 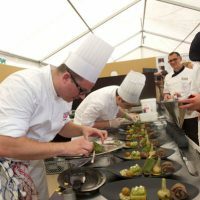 Each chef was assisted by a commis, a student at the École Hotelière de Cannes. 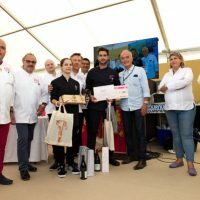 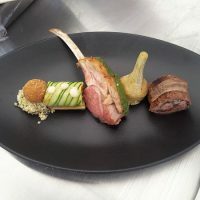 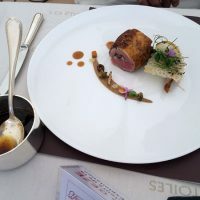 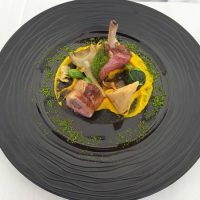 Yannis Sgard, the winner of the competition, presented a recipe around Saddle of Lamb from Zeri in Tuscany, Olives, Stuffed Caramelized Onions, a Rognon, condimented with a Tomato Caramel and a fatty Lamb Juice. 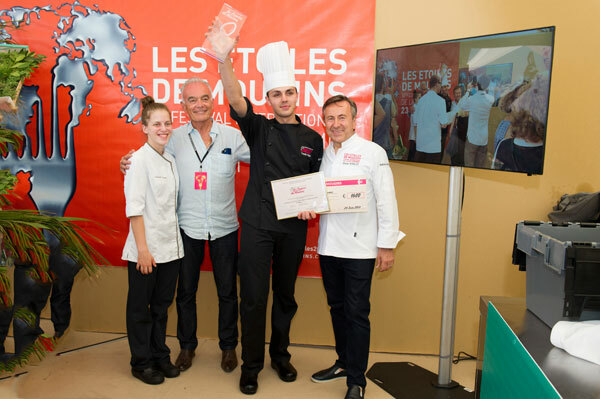 Delighted to have won the contest at his first participation, Yannis thanked his commis Manon Ficarra (CAP finalist at the École Hotelière de Cannes), his chef Michel Roth and the team at the Lasserre restaurant in Paris who supported him during his preparation for the Espoirs de Mougins competition. 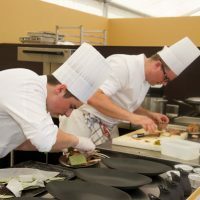 His culinary adventure in competition will continue in September as a commis for Guillaume Rizzo, sous-chef at Lasserre, candidate for the selection of the Bocuse d’Or France, coached by Michel Roth, Bocuse d’or Monde and Meilleur Ouvrier de France. 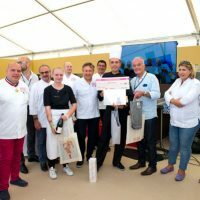 The winners left with many gifts offered by the generous partners of Les Étoiles de Mougins.